This forecast delivers a clear and reasoned look into the expanding world of Unmanned Maritime Systems (UMSs) This focused and competitively priced business and technology analysis gives you a comprehensive view of what the future holds for Unmanned Underwater Systems, for the Defense and Security markets (Public and Private), worldwide. Timely Business Opportunities - Including Future RFPs and Market Gaps analysis. 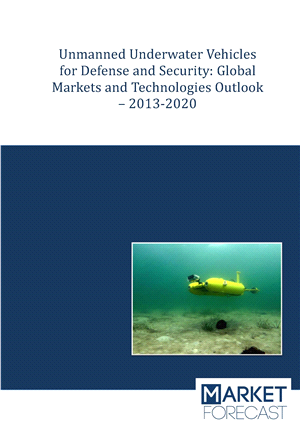 Reasoned Market Forecasts – by Mission (Defense and Security), including market sizes and evolution (by geographic regions, procurement, R&D, Maintenance. Reasoned Technology Forecasts – by systems and sub-systems, technology gaps, long energy autonomy, and more. Reasoned Forecasts of Uses for Defense and Security Missions - MCM, ASW, Counter-Terrorism, IPOE, and more. 1.7. How will this report benefit you? 2.2. Why a Surge of Interest in Unmanned Maritime Systems? 8.1.1.3. Future Defense Market: What Lies Ahead? 8.1.1.4. The New Defense Procurement Fiscal Context of Europe and of the U.S.